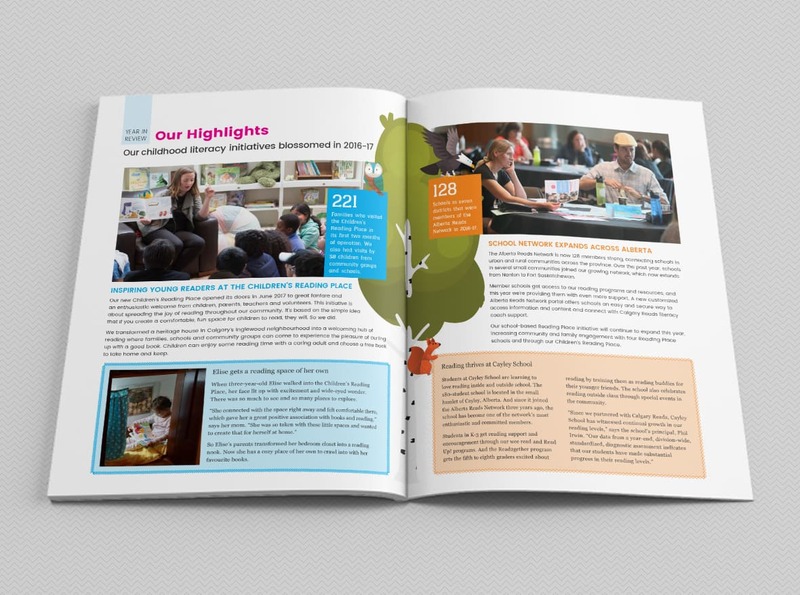 Calgary Reads is a non-profit organization with the aim to strengthen literacy and give children a brighter future. 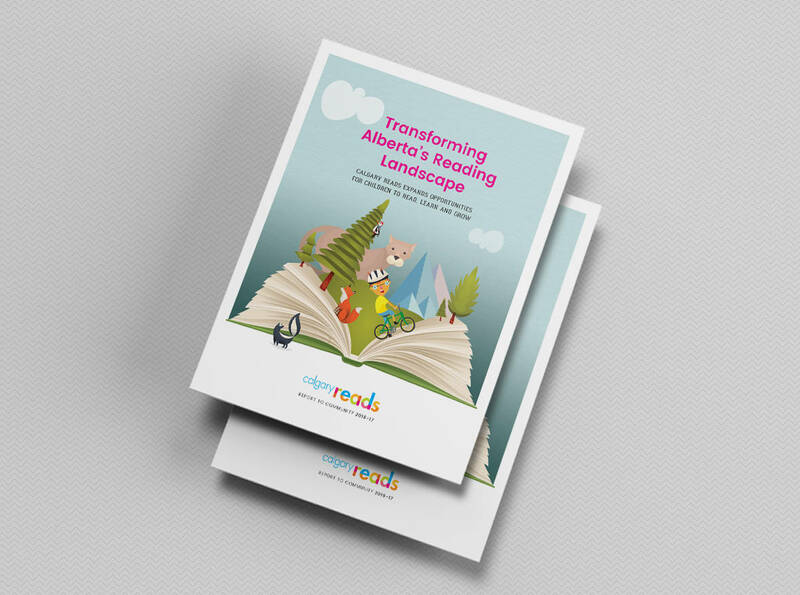 Its story is one of collaboration with schools, educators and community partners—working with them to offer programs, events and resources that nurture a love of reading. 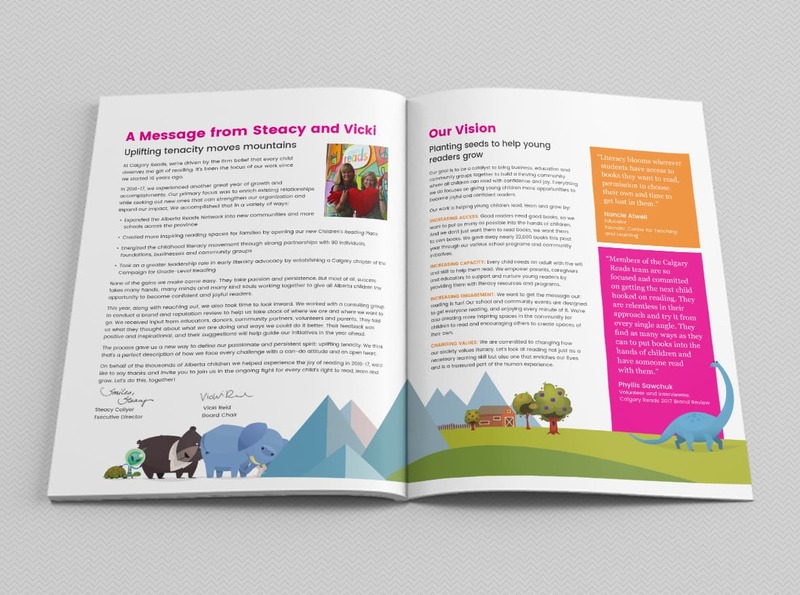 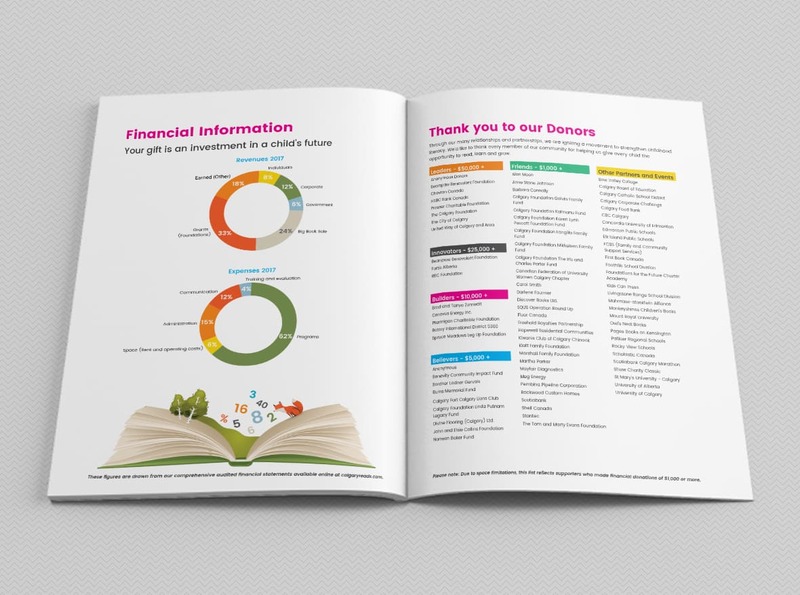 The 2017 Report to Community makes use of colours and illustrations that embody the joy of reading and the life of young children and visually connects to the website we recently created. 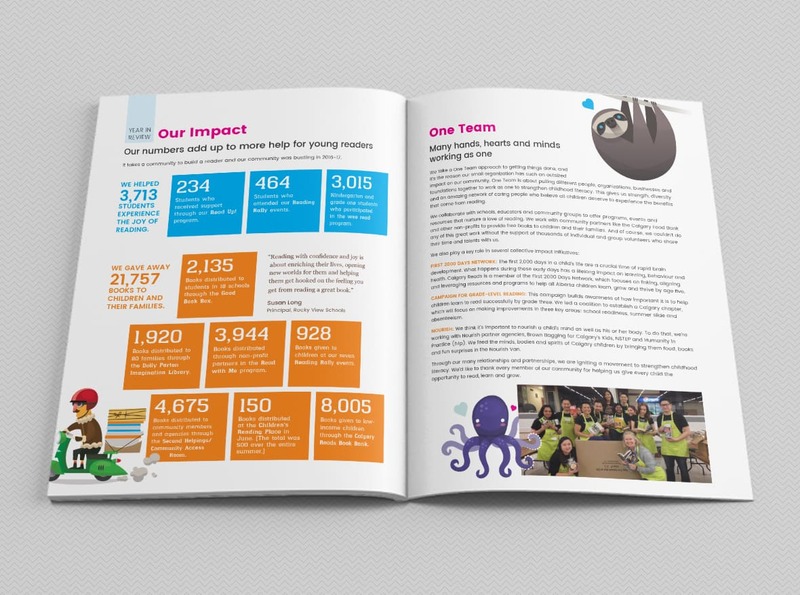 View the full Report to Community here.